Amrita, in a chat show of ‘BFF’ Kareena on Ishq 104.8 FM’s show ‘What Women Want with Kareena Kapoor Khan’. The friendship tale of Kareena Kapoor Khan and Amrita Arora are all over the entertainment industry. The two are seen shopping together, partying together and hitting the gym together. 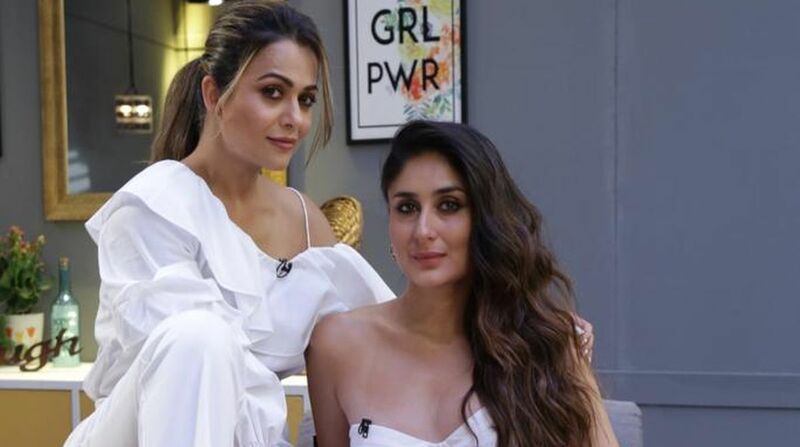 Amrita, in a chat show of ‘BFF’ Kareena on Ishq 104.8 FM’s show ‘What Women Want with Kareena Kapoor Khan’, revealed how the duo bonded over a host of things they liked and disliked that resulted in them becoming diehard friends. The two friends shared anecdotes about their friendship but not before stating why every girl needs to have that one best girlfriend in her life who is her close confident, her everything. They even talked on some serious topics and discussed why women form stronger friendships than men and why women are more judgmental towards each rather than men among others. To which next, she was asked, ‘Is female bonding stronger than male friends’. “I think it’s changing. Earlier, the woman never used to think twice before slagging off another woman basis on her appearances and how successful she is. Now women are proud to support each other and seek inspiration from them. They are happy about each other’s successes, jobs, relationships and things which they like to do together. They are constantly standing by each other,” said Amrita when asked about if women are more judgmental towards other women than men. ‘What Women Want with Kareena Kapoor Khan’ is a chat show which shares heartfelt stories exclusively on Ishq 104.8 FM, Mon-Fri at 8 pm and repeats at 10 am and 12 pm.